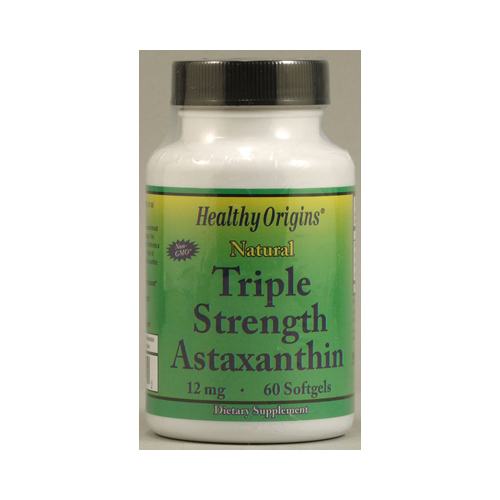 Healthy Origins Natural Bioastin Astaxanthin is a carotenoid produced from Haematococcus Pluvialis microalgae. 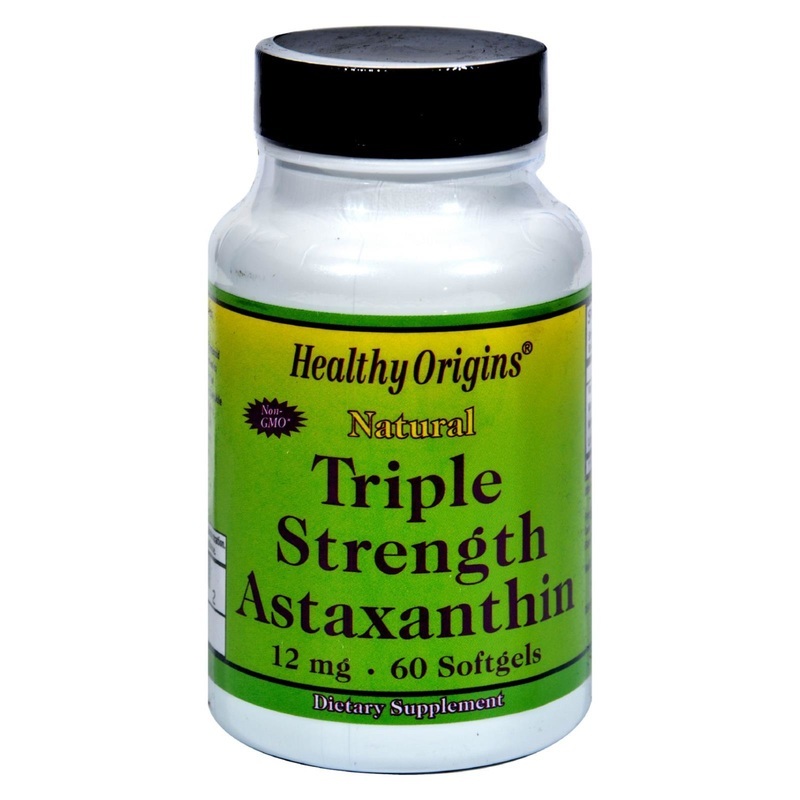 One Natural Triple Strength Astaxanthin softgel capsule features a total 12 mg of Astaxanthin, three times the strength of Healthy Origins regular Astaxanthin, BioAstin Astaxanthin. Free Of Sugar, Salt, starch, yeast, wheat, gluten, corn, fish, shellfish, egg, soy, lactose, artificial sweetenrs, flavor, preservatives and colors. Disclaimer These statements have not been evaluated by the FDA. These products are not intended to diagnose, treat, cure, or prevent any disease. Adults: Take 1 (one) softgel daily, or as directed by a health care professional. *Daily value not established. Other Ingredients: Safflower oil, gleatin, glycerin, purified water, natural tocopherols. 3.5" x 2.25" x 2.25"